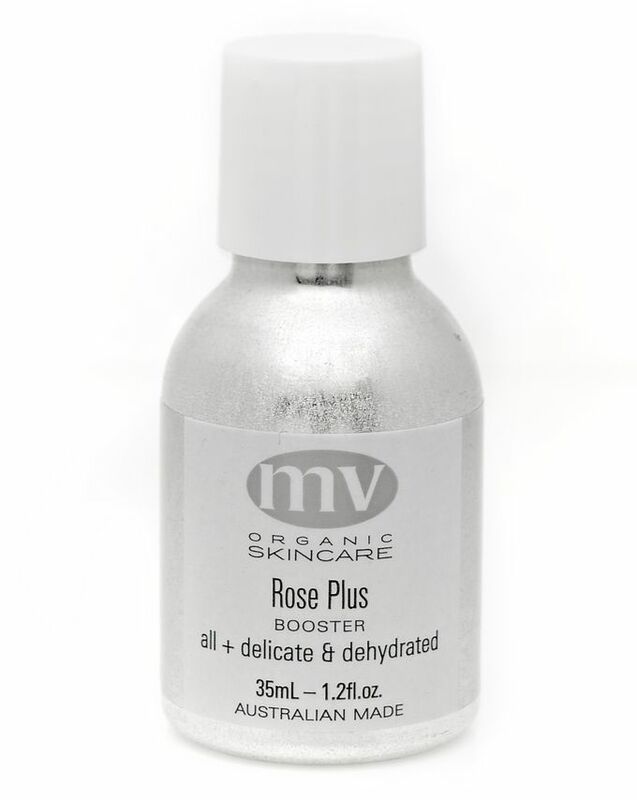 Just a couple of drops of this intensely nourishing Rose Plus Booster from MV Organic Skincare is all you need to balance a troublesome or hormonally imbalanced complexion (it's perfect for those plagued by adult acne, or with polycystic ovarian syndrome). 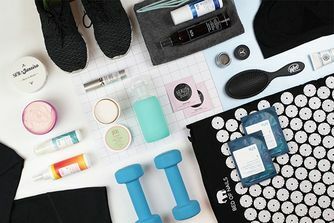 The cult Aussie brand is a favourite with A-listers like Amber Valletta and Maggie Gyllenhaal who love the pure, simple products and the fact that they really deliver on their promises. Top tip: a spritz of the Rose Hydrating Mist will make a little Rose Plus go further. If your skin is feeling tender or reactive - whether due to sunburn, microdermabrasion, rosacea, couperose (redness on the nose and cheekbones) or an angry breakout, MV Organic Skincare's booster will calm it right down. The luxurious blend of high quality essential oils (including rosehip and jojoba) is amazingly soothing and strengthening - rosehip in particular is known for increasing skin's healing time and has been used in the treatment of burns and following radiation treatment. Plus this brilliant booster smells divine! First cleanse, spritz with Rose Hydrating Mist, then while the skin is still damp smooth 2 drops of Rose Plus Booster over your face, neck and outer eye area. Alternatively, place 2 drops of Rose Plus in the palm of your hand along with half a pump of Rose S&P Moisturiser, blend together between both palms then, while your skin is still damp, smooth over your face and neck. Top tip: A spritz of the Rose Hydrating Mist will make a little Rose Plus go further. Camellia (Camellia Sinensis) Oil*, Jojoba (Simmondsia Chinesis) Oil*, Rosehip (Rosa Canina Fruit) Oil*, Rose (Rosa Damascena) Oil, Geranium (Pelargonium Roseum) Oil, Vitamin E non GM (Tocopherol), Rosemary (Rosmarinus Officinalis) Extract*, With essential oil of: Rose Otto and Rose Geranium *Organically Grown. I've only been using this for 5 days and it's already my holy grail skincare product. I've been having a lot of issues with my skin - sensitive, dry patches, oily t-zone, breakouts - and nothing has been working. When I first used this I had a breakout on my forehead, but it was gone in less than 24 hours. Since then, my skin has really cleared up and is looking better than it has in a long time. Even my acne scars have faded slightly. My partner has been commenting on how nice my skin is looking! I really do wish this wasn't so expensive though, but at least you only need a couple of drops so it should last a while. I spray my face with the new Sukin rose hydrating mist (which is a lot less expensive than the MV Organics one) before using a few drops of the rose booster mixed in with my moisturiser for day or by itself at night (as MV don't recommend using moisturiser at night). I will repurchase when finished. After 2 weeks of using this oil blend I have no dry patches, no flakiness or irritations, my skin tone is soooo much brighter and it didn't clog my pores. I cant stop using it! This is the only product that I've noticed (in years) that actually makes a difference. I use it alone or mixed with the rose soothing cream morning and night and will be using it for a long long time. This product is so amazing, it has really helped my combination (very prone to breakouts on chin) skin. A little goes a long way and I only use at night. Also the 9 oil cleansing tonic is amazing too from MV organics. Both of them along with May Lindstrom products has helped my skin clear up more than anything I've ever tried. Rose Plus Booster was the first product I tried from MV Organics line. I purchased it to for added hydration and to calm sensitive winter skin. Initially I used it on days my skin felt a bit irritated (post threading, extra dry, or when I had a spot). It was immediately soothing. I now use it all the time. It is an excellent hydrating oil and suits my oily skin quite nicely. I absolutely love it! 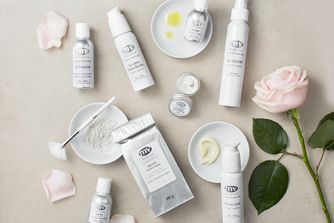 Rose Plus was my "gateway" product to MV Organics - I am quickly acquiring everything in the line. I was not expecting to be bowled over by this oil, but I'm amazed at how good it is. Over the last few months I developed some redness around my nose and chin and have tried many top end creams to address this, with limited success. I then added a couple of drops of this oil into my usual night oil and within a week all redness had gone and my skin looks better than ever, healthy and hydrated. I love the fact that it can be used during the day and there is no greasiness you get with many oils, it's just absorbs instantly. A permanent addition to my skincare routine. I have been using this oil for a week and it is amazing. My skin is glowing, clear and hydrated. I suffer from hormonal breakouts, but this oil has cleared everything up, even helping old scars. A new staple and my new favourite oil. That was my first facial oil and I'm absolutely in love with it now! I had been afraid of using oils before as I tend to have oily skin, but this winter I got so dehydrated that I decided to try some... The Rose Plus Booster has been an absolute game changer for me! It calms redness instantly, evens out the skin tone and does not clog my pores. It's very hydrating but sinks in super quickly so you don't feel any tackiness! One last note is about its scent: everyone seems to love it, but to tell the truth I'm not a fan of it at all - it's too green and strong for me, though the benefits it gives to my skin overweigh the scent 100%! This oil is calming and hydrating without being too greasy for my acne-prone, oily skin. I love this stuff! Smells incredible, absorbs quickly and makes my skin look 'well fed' for lack of a better term. If you are a fan of Juno but don't like the scent then this one is a goody! Finally, a nourishing, hydrating oil that doesn't leave a greasy slick on my skin. I use a couple of drops in the evening and wake up with glowing, beautifully hydrated skin! Also the scent is just dreamy!! Bought this together with some other MV organic products, although this one is the one I liked best of them all I unfortunately don't find anything special about this at all. It is a hydrating serum, it does an ok job, no toxic ingredients which is something I always look for, but it is just not GREAT, and for that price, I want more than just "okay". Sadly I can't agree with other reviewers that said it soothes or helps with bumps and scars, I saw no difference, just a bit more hydration. Definitely prefer my Beauté Pacifique submersive serum to this. I have tried both this and the Jojoba oil and love both. But I can't use this one as often; because of the strong rose scent which triggers my allergies. BEWARE if you have allergies or sinus problems as you won't be able to use it. I bought this after my skin reacted quite badly to the EH Morniga cleansing balm. 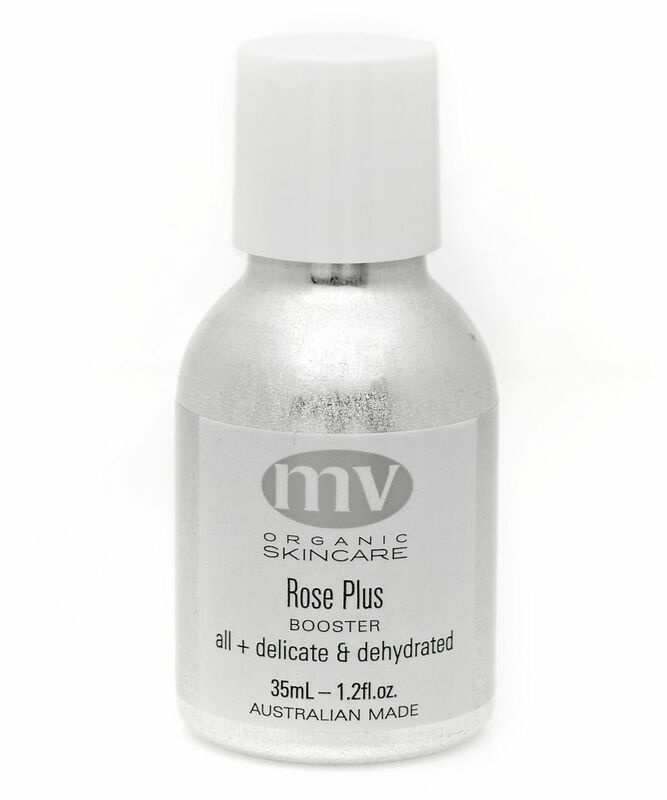 I have just ordered my 2nd bottle of the rose plus booster. Needless to say it did help with spots, bumps, marks, scars and the rest and I will always have this in my skincare bag. A little goes a long way, I used this almost every day (morning and night) since January 2016. Sometimes I just apply this at night and go to bed, and other times I mix it with my Ole rose hip oil. This stuff is amazing and I will recommend this without any hesitation. I've been looking for something like this all my life. This oil is nourishing, calming, hydrating, to the skin and smells good it is just divine. It softens my skin so well from the redness I get from retinol. I wake up every morning to find my skin well-nourished and soft as a baby's. Now I already own back-ups and certainly can't live without it now! Still excites me to see the results every time I use it, absolutely a cult favourite! I am very sorry to see that I must be the only person in the world for whom this product is a complete disappointment. After reading so many raving reviews from across the spectrum, from beauty bloggers big and small to specialist magazines, I also fell in and ordered it. As opposed to the almost instant lift and glow of my Caudalie oil, the Rose plus booster does absolutely nothing for me. I even find the often praised heavenly smell not to be so. After a week, I am now using it for the ends of my hair. Lesson learnt: never buy an expensive product without trying it first, no matter the rave. Pricey but completely worth it . It Immediately soothed and calmed my sensitized skin. After a few really stressful months, my skin become sensitized and reactive - everything aggravated it. This serum was the only product that both accelerated healing and helped calm and soothe my skin. I have already ordered another bottle. My mum bought this for me and it is the first facial oil I've used and I'm in love with it! Gorgeous smell, light texture, not heavy and doesn't leave my skin oily at all, just beautifully hydrated. It's pricey but so worth it for this gorgeous night time oil treat for my skin. The scent is dreamy and the oil texture is not greasy. One drop is just enough to use it alone or with the MV moisturizer. I wanted something gentle to nourish my skin after having laser treatment for pigmentation marks. My skin feels hydrated and calm after I use it and the aroma is just heavenly. 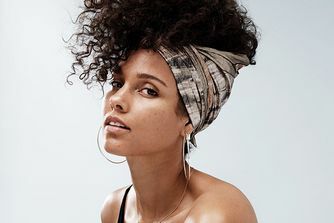 It's absolutely perfect for giving skin a glow without the added look of grease. It hydrates, nourishes and is fortunately also great for using on top of hormonal breakouts. It's a ridiculously simple formulation - but it just works.